so they can help you reach the whole world. Moto Creative is our student-driven, creative services team helping partner churches witness well in the world. At various tiers of support students can build powerful communications pieces as a thank you for investing in their missional adventures. Free on-site assessments of what Moto Creative could provide to your church are available upon request. Check out our tiers below, and jump over to our PATREON PAGE to get creative together! For donations of just $1 or more a month individuals receive digital copies of our annual Motor City Hymns albums. These are collections of original and retuned congregational songs written and performed by #MotoWesley students and collaborators. For $50 a month patrons receive our annual Motor City Hymns album, PLUS you'll be invited to choose which one of our "Fantastic" Moto Creative projects you'd like students to come help you complete. These include: development of a custom graphic or logo, or an inspiring "Conspiracies of Goodness" talk at your church. 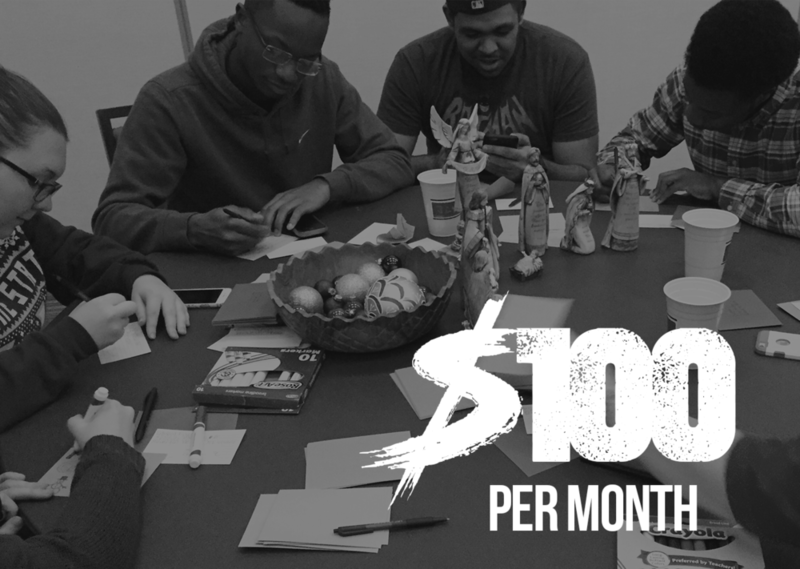 For $100 a month patrons receive our annual Motor City Hymns album, PLUS you'll be invited to choose which one of our "Cinematic" Moto Creative projects you'd like students to come help you complete. These include: a 30 second teaser video, social graphics package, launching a podcast, a custom worship song, and a website reboot. For $250 a month patrons receive our annual Motor City Hymns album, PLUS you'll be invited to choose which one of our "Epic" Moto Creative projects you'd like students to come help you complete. These include: a worship or promo video up to 5 minutes in length, a recording session for your worship team, and a generosity campaign package including graphics, video and original song components.